As an undergraduate, I majored in Psychology and minored in English, earning a Bachelor of Science Degree from Santa Clara University. I also received my Master of Art Degree in Counseling Psychology from Santa Clara University. 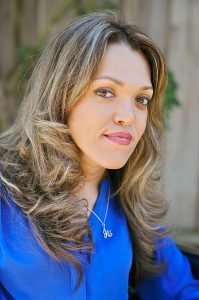 Since starting my path in the field of Counseling Psychology, I have gained experiential training at Silicon Valley Independence Center in San Jose, Family and Children Services in San Jose, and Columbia Neighborhood Center in Sunnyvale. I have a deep passion for working with youth and parents and have had the pleasure of working with children, adolescents, adults, families, parent-child units, and couples facing adjustment challenges (separation, relocation, retirement, school transition, etc. ), relationship problems (dynamics between parent-child, siblings, couples, peers, etc. ), anxiety, depression, abuse, trauma, parental abandonment, adoption, bullying, low self-esteem, self-injurious behaviors, grief, ADHD, and various physical and/or cognitive disabilities. I have experience in individual and group therapy, school-based counseling, and outpatient agency work. Having worked with a diverse group of clientele (Caucasian, Asian, African-American, Hispanic, low social economic, those with disabilities, single parents, multigenerational family units, adopted children, members with various sexual orientations, etc. ), has enriched me with the gift of cultural sensitivity. I believe that each of us comes to form a sense of our self based on our early experiences and the thoughts, emotions, and behaviors ingrained by such experiences. I also understand that our environment has a great influence on us and know that each of us possess an innate strength for healing. Subsequently, in working with clients, I consider early life experiences (Object Relations); age and life transitions (developmental theories); the impact of the environment and the family unit (systems theory); the role of thoughts, feelings, and actions (Cognitive-Behavioral Therapy); and client’s resources (Solution-Focused Therapy). In addition, I frequently utilize exploration, psycho-education, task-assignment, and play and/or art activities. Experience has taught me over and over again that we all possess an innate drive to concur and flourish even when faced with the most difficult of challenges. We each have a unique personality that influences which path best helps us towards growth. In fact, research in the field of psychology has repeatedly demonstrated that the most important factor in therapy is not the exact intervention used, but the therapeutic relationship between the therapist and client. In other words, the compatibility between you/your loved one and I may be of upmost importance in our work together. Although it is difficult to determine such compatibility without meeting in person, I wish to briefly introduce myself here. My clients have described me as easy to talk to, caring, open, and funny. Children often enjoy their sessions so much that they ask if they can bring friends and siblings along. Parents frequently tell me that while they were seeking my services for their child, they found me a great support to them as well. I deeply value the family unit and respect the complex individuality of each client and family. In my work with clients, I attempt to use approaches that best fit the age, cultural, and personality of the person(s) sitting before me. While not in the practice of self-disclosure, I am not hesitant to acknowledge my own vulnerabilities and challenges as they relate to stressors faced by clients. For me, the most precious gift in being a therapist is the honor of sitting with another individual and being attuned with his/her experience regardless of age, ethnicity, ability, sexual orientation, status, or culture. While we are on the topic of introductions, I must introduce my partner-in-crime. 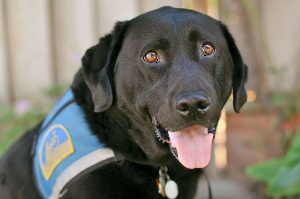 In 2009 I was teamed with a tall, dark, and handsome service dog (Black Labrador/Retriever mix) named Boston. Clients of all ages have told and showed me that Boston’s mere gentle presence in every session has enhance their comfort and lead to a quicker therapeutic rapport. Perhaps the best part of such a teammate is that, while highly intelligent and trained as my assistance, Boston, like me, holds the content of all sessions in the upmost confidence. And he shares my excitement in meeting you soon. Author of children’s book entitled “My First Nowruz” (1997). First Iranian to have an article on the New California Media (NCM) web page. Co-leader and trainer for the Peer Consulting group at Silicon Valley Independent Living Center. Co-author of “Issues faced by therapists with visible disabilities: The role of transference, anxiety, and the notion of otherness in the therapeutic Titleship” published in Journal of Psychology and Counseling Vol. 1 (2), pp.030–038, April 2009.